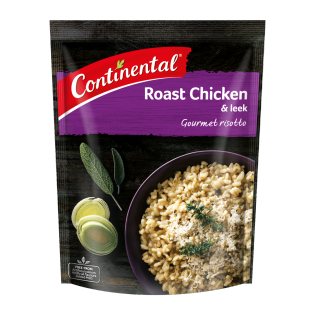 This Roast Chicken & Leek Risotto is a gourmet twist on a home-style roast chicken classic that will make every day feel like a Sunday. Complimented with the mild flavour of leeks, this risotto side dish will be a remarkable addition to any meal. I bought this as a lowCost but tasty meal to take on my multi day Hikes. I mix with a tin of shredded chicken and some parmesan - it is glorIous! I dID use a little more water as I like softer rice. Tastier and much cheaper than Bought hiking meals.